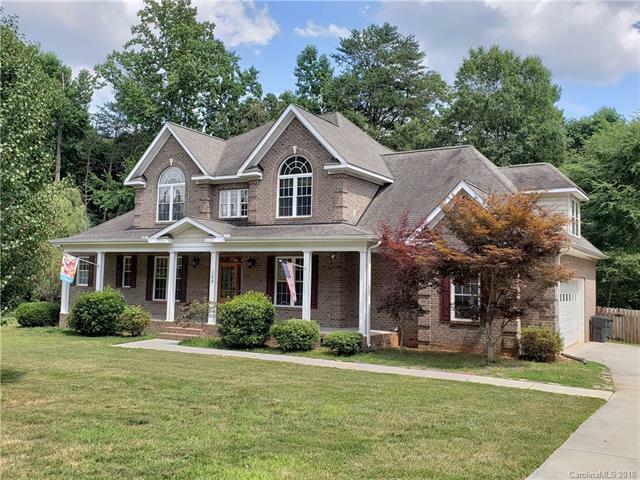 Beautiful 2-Story Brick Home on 2 Acres, Only Minutes to High Rock Lake. Spacious kitchen with stainless appliances, granite counters, tile floors and a breakfast bar. Stunning great room with 2-story ceiling, wood floors and a fireplace with gas logs. Double doors lead to the covered back porch. Perfect for entertaining or or enjoying the quiet. French doors open into a home office. Luxurious master suite with tray ceiling, double closets, jetted soaking tub, walk-in shower and personal sinks. Formal dining room. The upstairs offers a guest room with a private bath and 2 additional bedrooms. Bonus/media room above the over sized 2 car garage. Freshly painted throughout. Fenced yard. NEW PRICE!